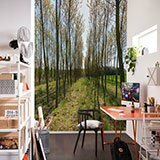 Wall mural Way between the poplars. 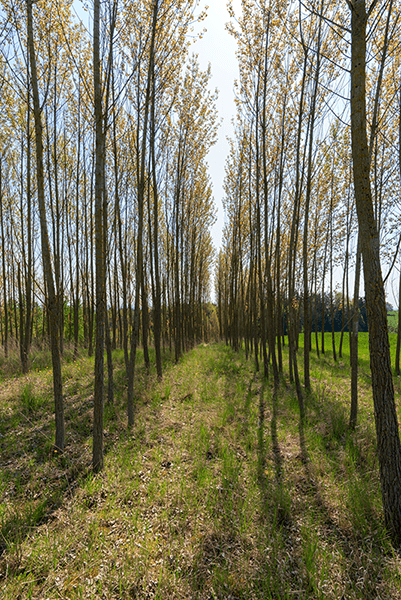 Interesting photograph of a forest of poplars planted in an orderly way and in a row. 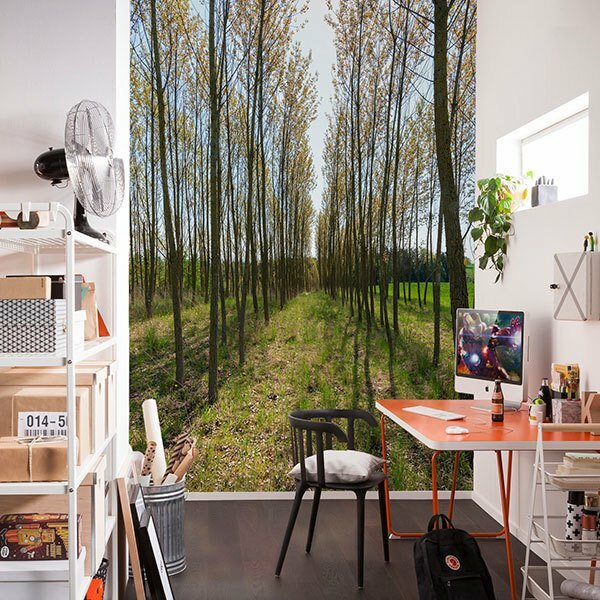 This image will give a wide depth to the room where it is placed by the perspective created by the trees, as a way. Ideal for narrow walls.